Born and raised in Meaford, Ontario, Kayla graduated from the University of Western Ontario with an Honours Bachelors of Health Science degree in 2012. Kayla then graduated from Bond University in Queensland, Australia with a Juris Doctor degree in 2014. She was top of her class in Civil Procedure and Canadian Criminal Law and graduated with Honours. 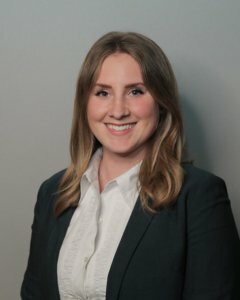 Since being called to the Bar, Kayla has completed Level 1 of the Collaborative Family Law training and has joined the Grey Bruce Collaborative Family Law Association and the Ontario Collaborative Family Law Association. She believes the traditional adversarial litigation system is not always the only and/or best path to resolve every Family Law dispute.